Lauren Belayneh: Confronting Fears Out of My Comfort Zone. At the beginning of the year, I started to get back into yoga, and I did a 30 day challenge where I went to yoga everyday. After the 30 days, I lost a little weight, started to feel more confident, but I didn’t feel like I was getting the results I desired. While, on Facebook I saw an ad for New You at Arsenal Strength, and thought I would give it a shot, and that I had nothing to lose. At the beginning, I was very intimidated by CrossFit, but I felt comfortable while doing the New You program. Watching the CrossFit class before me, I kept thinking, “I don’t think I can ever do that”, and “everyone here is going to think I’m a joke”. After completing New You, I decided to join, and I was surprised about how welcoming everyone was. Everyone introduced themselves to me, and I learned that just because I have to scale a workout doesn’t mean anyone is going to think less of me. Also, I have learned that the Crossfit community is not intimidating, but encouraging! My favorite part of CrossFit is the community. I honestly push myself, because I know the people beside me are working their hardest, and I can’t cheat them, and I definitely can’t cheat myself. Also, without the community it would be easy to skip class, and even go a week without working out. But, with this community comes accountability, and it forces me to get up every day and get to the gym. I have learned that I am not only strong physically, but mentally. Crossfit has helped me develop my fitness goals, and even career goals. Completing a WOD, that I thought I could never do, has taught me I can do just about anything if I put my mind to it. I have more confidence in my appearance, and the confidence to move furniture by myself! 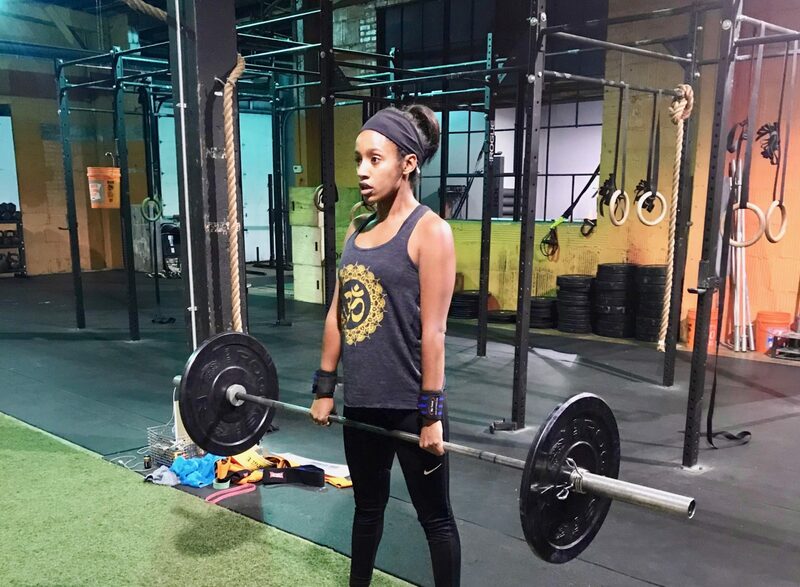 Crossfit has forced me out of my comfort zone, and to confront my fears.